Video: What Is Ignite Spot? What is Ignite Spot anyways? We get asked that question a lot, so this week's video is our attempt to answer it. No accountants, that we know of, were harmed in the making of this film. We do your bank reconciliations, invoice your customers, and we even pay your bills for you. For entrepreneurs that hate doing paperwork, and you know who you are, it's a great way to unload the administrative tasks. We have in-house CPA's that do your taxes. That includes your income taxes, sales tax, payroll tax, estate tax, franchise tax, etc. There's a lot of them. We also help you forecast cash, get out of debt, and build a wealth-centered company. This isn't just for startups. In fact, most of our clients generate between $500,000 and $10 million in annual sales. Regardless of where you're at, we work really hard to build processes to help you grow. 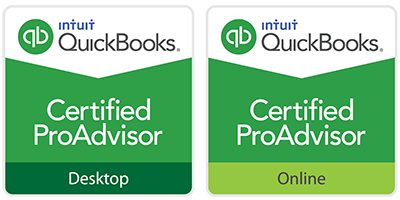 We save our clients a ton of time on their accounting tasks. It ends up being an average of 250 hours a year. We also spend a lot of time watching their costs to protect the bottom line. Oh, and there are not contracts. Ever. We hate contracts. We're located in Kaysville, Utah and yes, we all work in the same building together. Our clients are all over the country. We never re-outsource our work and we only work with companies in America. Good question. Start by clicking here to visit our pricing page. 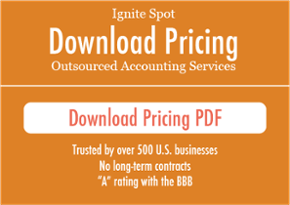 Fill out the form on the right, and we will send you our pricing guide instantly. That's it for this week's video. Next week we'll be discussing how long it takes to get set up as new client. p.s. It's faster than you might think.